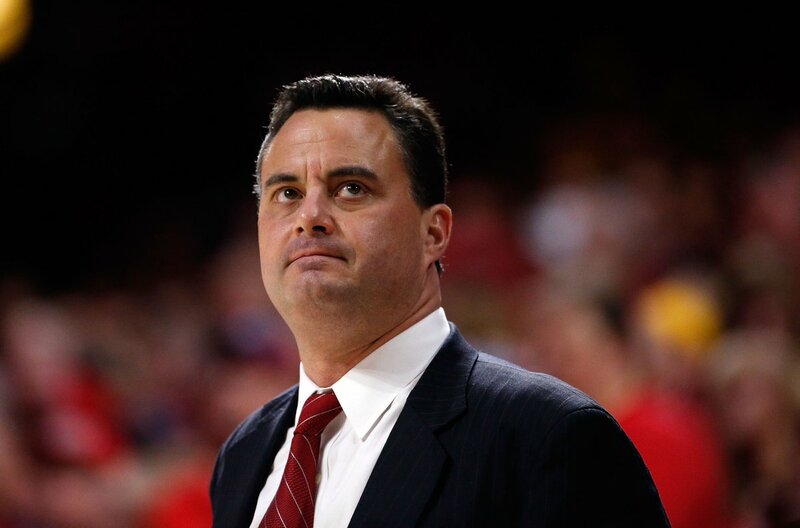 Representatives of Arizona’s Sean Miller and LSU’s Will Wade have been sent notice that they will be subpoenaed in the federal basketball corruption trial that begins April 22, legal sources confirmed to ZAGSBLOG. “Their representatives have been contacted and agreed to accept service of process [or] subpoenas,” one legal source said. 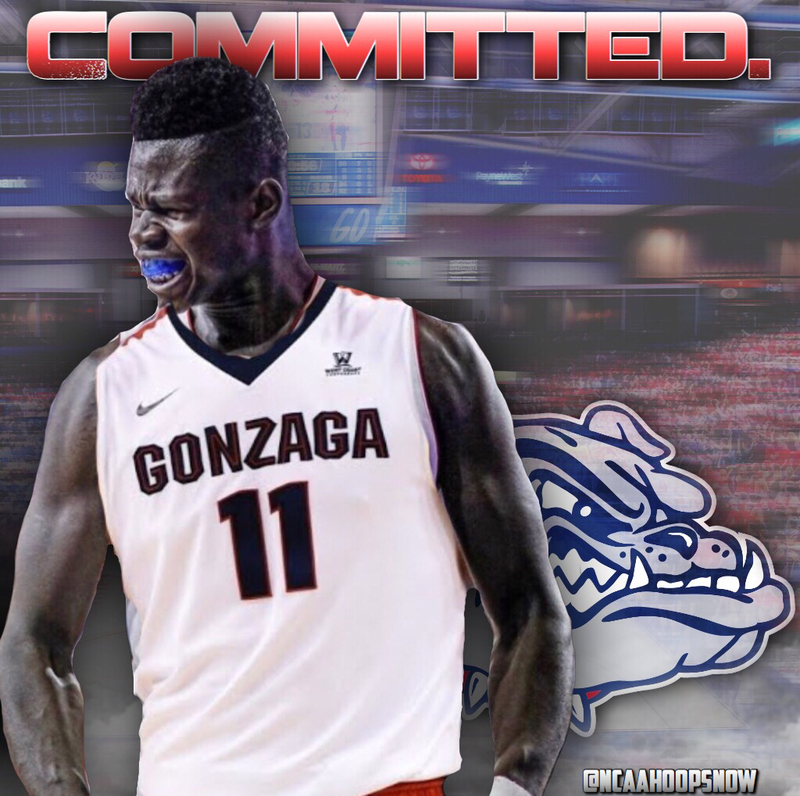 The news was first reported earlier Monday by Yahoo Sports. 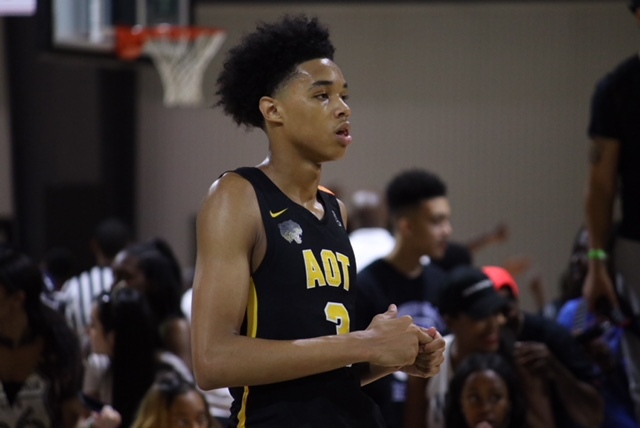 Both Arizona and LSU are Nike-sponsored schools, whereas the trial in September focused on Adidas-sponsored schools Kansas, Louisville and N.C. State, among others. In October, a jury in New York found that former Adidas consultant Merl Code, Adidas executive Jim Gatto and would-be sports agent Christian Dawkins committed wire fraud and conspiracy to commit wire fraud by paying families of coveted basketball prospects to get them to commit to programs sponsored by the shoe company. The sentencing date is set for March 5. Each federal charge carries a maximum sentence of 20 years in prison, though the men are likely to serve between two and four years. 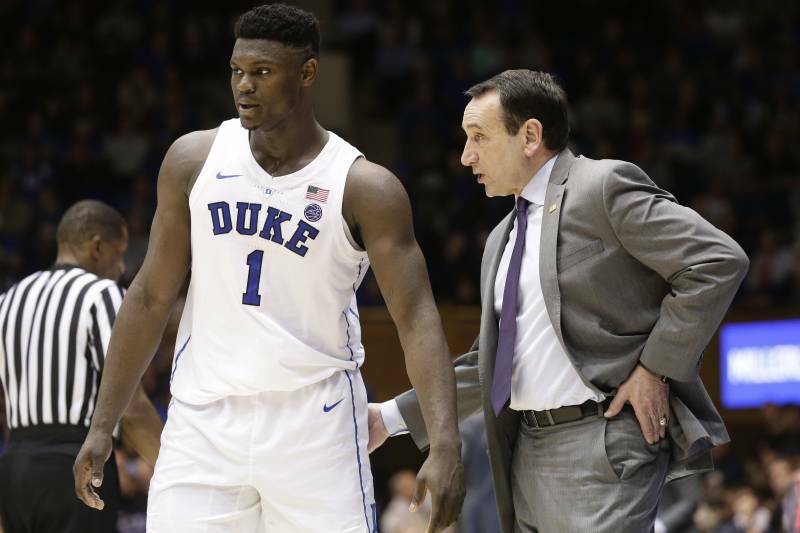 Duke has had no discussion of shutting down freshman phenom Zion Williamson for the rest of the season because of his right knee sprain, and there is no timetable on his return. The 6-foot-7 Williamson sat out then-No. 1 Duke’s win at Syracuse on Saturday and will miss Tuesday’s game at No. 20 Virginia Tech. He is listed as day-to-day going forward. “He’s not going to play but he’s getting better,” Duke coach Mike Krzyzewski said Monday. 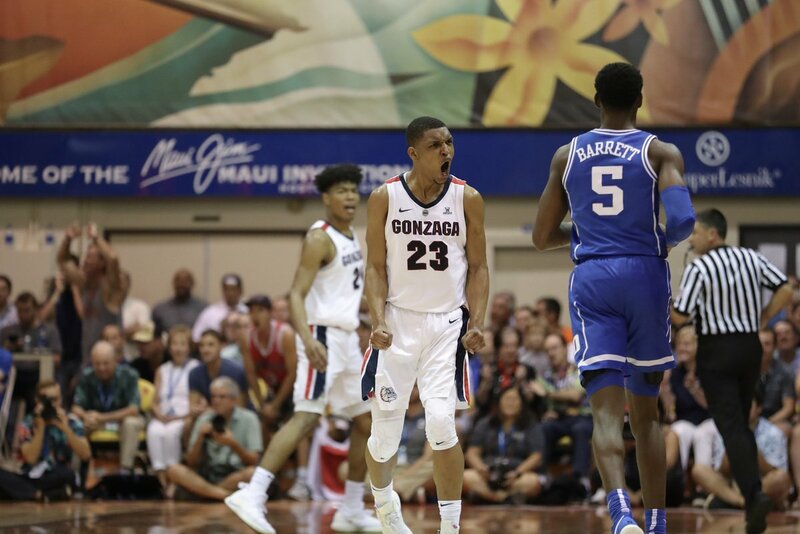 Coach K previously said there was no talk of shutting Williamson down. 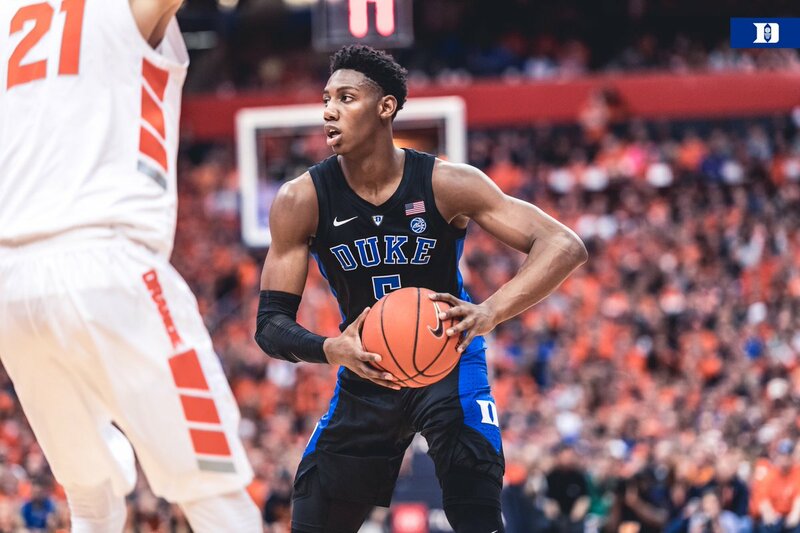 Without Zion Williamson, R.J. Barrett and his Duke teammates will have to step up for however long the projected No. 1 Draft pick is out. That’s just what Barrett did Saturday night when he went for 30 points, 7 assists and 5 rebounds as No. 1 Duke beat Syracuse, 75-65, at the Carrier Dome to avenge a home loss to the Orange last month. With the win, Duke improved to 7-0 on the road this season — the best mark in Division 1. Williamson, the projected No. 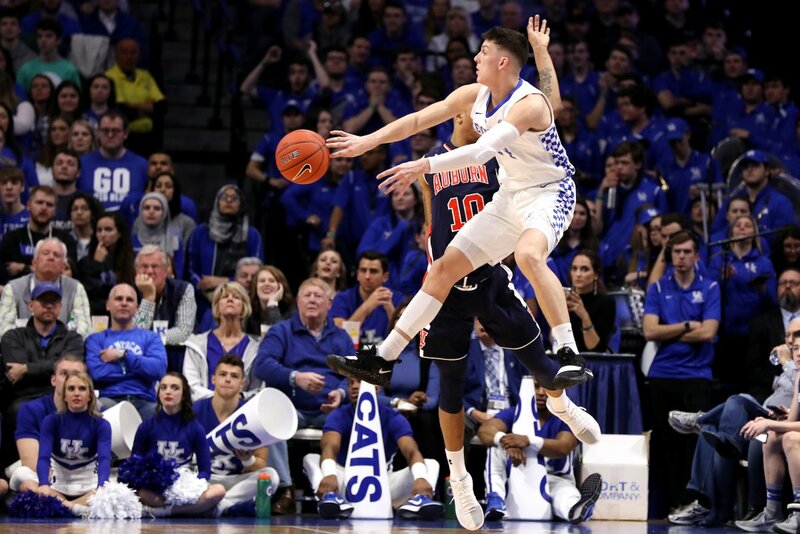 1 pick in the NBA Draft, sat on the bench in sweats and is listed as day-to-day with a Grade 1 knee sprain suffered Wednesday against North Carolina. His status going forward remains unclear.